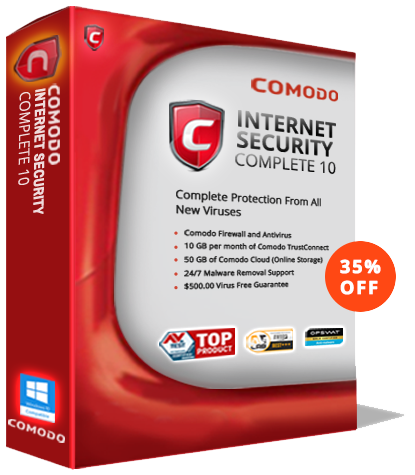 Comodo recently released Internet Security 7 (CIS), a comprehensive desktop security suite that provides Comodo’s unique Default-Deny Protection with an offer of $500 Virus-Free Guarantee. Traditional security software focuses on a default-allow strategy that will allow a program into your system that may be unsafe simply because it does not know what it is. Default-Deny protection is a unique line of defense in a multilevel defense strategy that dramatically reduces the possibility of malware infection and avoids the high costs of such compromises. Comodo’s Default-Deny Protection, is a combination of antivirus for Windows 8, firewall, behaviour analysis, host intrusion prevention and Auto-Sandboxing that helps in filtering safe and unsafe files to decrease the chance of any harm coming to your computer. The Comodo sandbox is a safe, isolated system are where a program can run without impacting your system and files if it turns out to be malicious.. It is mainly used to process and execute untrusted programs from unauthorized websites. Auto-Sandboxing technology that stops, scrutinizes and deletes any file that tries to gain access to the users system. This enhancement, along with the combination of firewall, antivirus, anti-spyware, anti-malware etc. brings in a definition of Default-Deny Protection, thereby giving 100% protection from virus to the users.